WEBDOC maintains policies that protect the confidentiality of personal information which may be obtained from users of the Webdoc communication tool. WEBDOC is committed to protecting information about its customers, especially the confidential nature of their personal information (PI). Personal Information is information that is capable of being associated with an individual through one or more identifiers .But not limited to a Social Security number, NIC Number a driver’s license number, a state identification card number, an account number, a credit or debit card number, a passport number, an alien registration number or a health insurance identification number, and does not include publicly available information. That is lawfully made available to the general public from. Federal, state or local government records or widely distributed media. WEBDOC will not use or share CNIC numbers or personal information with anyone outside the company except when permitted or required by federal and state law. WEBDOC Associates must only access user personal information as required by their job duties. WEBDOC has in place a minimum necessary policy. Which states that associates may only access, use or disclose CNIC numbers or personal information to complete a specific task and as allowed by law. WEBDOC safeguards CNIC numbers and other personal information by having physical, technical, and administrative safeguards in place. WHAT INFORMATION WILL WEBDOC COLLECT? • You may elect to establish a user account. Personal information will not be collected from you without your knowledge. Providing personal information is always voluntary. • We may use “cookies” to help us improve our website by tracking your navigation habits and to store some of your preferences. A cookie is a small file created by an Internet site to store information on your computer. Cookies do not allow websites to gain access to other information on your computer. Once a cookie is saved on your computer, only the website that created the cookie can read it. Providing personal information through Anthem’s website is an option. Additionally, personally identifiable information will not be collected from you without your knowledge and approval. Following your interactions with providers. You may print the conversation record for your records and you may also send your information to others via email, fax, or mail. Please be aware that email communication can be intercepted in transmission or misdirected. Once that information leaves our secure website, we are not able to direct or control any further disclosure of that information. We will not share your Personal Information with any other third parties without Your express permission, except as otherwise permitted by this Agreement, or as required by law. To the extent your health insurance provides coverage for online services.WEBDOC may obtain personal data from your insurance provider and other third parties that provide data interchange services for your insurance provider. That data will be subject to the same privacy and security policies as the personal information that you submit directly to us. Your personal information will be stored in a secure manner. We have implemented a variety of commercially standard encryption and security technologies and procedures to protect your personal information. Stored in our computer systems from unauthorized access. We also maintain standard physical and electronic procedural safeguards. That limit access to your personal information to those of our associates (or people working on our behalf and under confidentiality agreements) who, through the course of standard business activities, need to access your personal information. 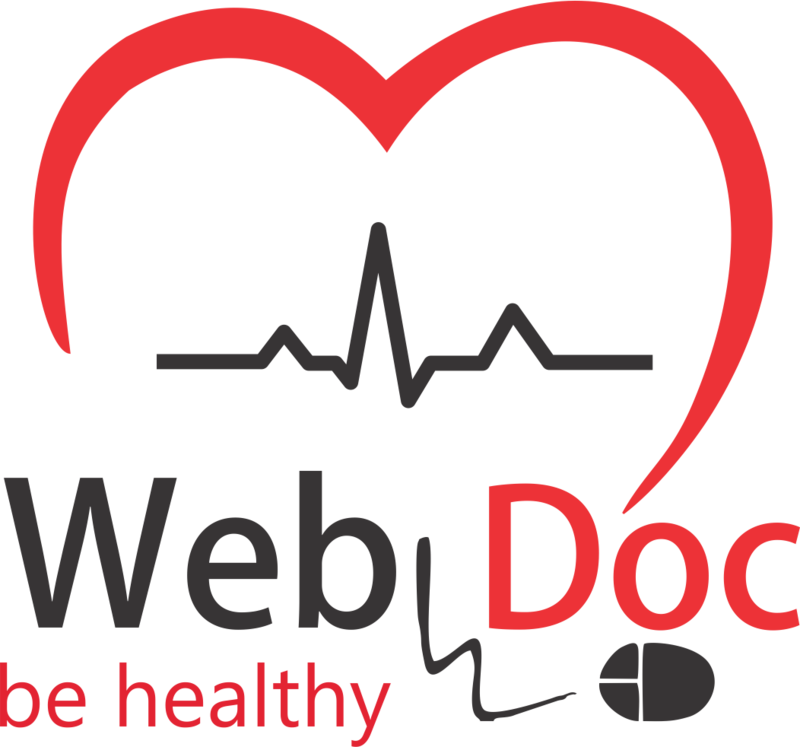 WEBDOC may combine, in a non-identifiable format.The personal information you provide with information from other users to create aggregate data that may be disclosed to third parties for general public health or commercial purposes. Aggregate data does not contain any information that could be used to contact you or identify you. If you want to modify your personal information contained in the Webdoc system (including medical records generated when receiving Online Services) or make changes to the personal information .That you have provided to us, please click the Contact link below. We may provide email links on our site to further facilitate communication between us and you. Information collected through electronic mail may be shared with our customer service department, employees or other third parties that perform services on our behalf. Unless otherwise noted. Electronic mail on our site is not a completely secure and confidential means of communication. Non-encrypted electronic communications may be accessed and viewed by other Internet users without your knowledge and permission .While in transit to us. We recommend that you contact us by email at support@webdoc.com.pk. Using one of the numbers found on our website or on your healthcare ID card .Whenever you are communicating personal information to us.